The nose detects stray molecules--if something has an aroma, it is emanating molecules. When Leslie walks past me, tiny parts of her shimmer away, forming a molecular cloud of Leslieness. I sniff imperceptibly (to her, anyway--27 years of obvious sniffing could wear out any marriage). I collect tiny pieces of my love and gather them (her?) in my nose. There tiny hairs caress the molecules. The science gets a little fuzzy here, but one hypothesis is that the shapes of the molecules trigger different odor receptor neurons, which ultimately send the signals to the brain. To understand smell and memory, however, you need to understand that the brain is not a single organ. It has all kinds of parts with all kinds of functions. Ask a 9 year old child what the brain does: "It thinks." This is a cortical function--the gray matter coating the outside layer, the cortex, triggers voluntary movements, "thinks," and helps keep memory in sequence. Its the part of the brain that makes humans human. This, however, is not the part of the brain used by your nose. The olfactory neurons reach deep into the limbic system, the ancient part of your brain shared by other warm-blooded critters, the part that deals with levels of consciousness we uncomfortably recognize as "animal." The parts sound comically ominous--the amygdala, the hippocampus, the uncus. Here is where the heart truly lies, the center of passion, lust, fear, and pleasure. Here is where the deepest memories lie, hidden from the cortex. 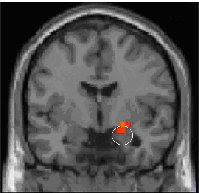 The limbic system transfers information into memory, and the information is colored by emotional input. This is the brain shared with other mammals--swirling memories are tagged with emotion for survival. This is the stuff of nightmares and wet dreams, memories and surges of emotion tied timelessly together. Want to evoke childhood memories? 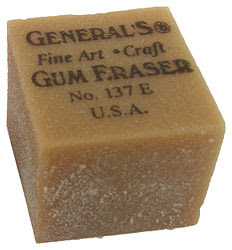 Smell an old gum eraser. Memories come flooding back. The aroma of turkey on Thanksgiving, the piney smell of Christmas, the woody smell of the season's first barbecue all evoke strong memories and emotions. 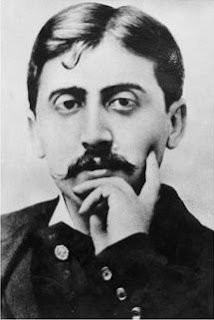 Marcel Proust knew this--"the taste of the piece of madeleine soaked in her decoction of lime-blossom" resurrected a whole town from his memories of years before. Proust creates long, vivid passages of memory and emotion blended together from a smell, a taste. The ability of a certain aroma to open a floodgate of memories is now called the "Proust effect." In a world of deodorants and sanitizers, what chance does the limbus have of evoking the earthy warmth of the first kiss in June three decades ago from the subtle waft of pheromones today? Turns out perhaps more than we suspected. Some human pheromone-like substances do not trigger the olfactory system, yet still trigger pathways from the nose to the limbus via accessory pathways. Scientists call this "subliminal biologic odour,"1 Mothers recognize babies and lovers recognize each other at levels beneath our consciousness. Women who live together for a bit soon find their menstrual cycles synchronized. This may be news to us--we trust our cortical, sequential world more than the morass of memory and mood mucking about in our nether-brains. Still, if you're feeling a bit disconnected from your limbus, a bit too corporate, you're feeling just a bit too efficient in your high-tech world, here's the recipe for a cheap thrill. Go to the dollar store and buy school paste, the thick white stuff your teacher used to scoop out of the gallon pail with a tongue depressor. Also buy a package of manila paper. Scrape some paste onto the paper, dim the lights, and inhale. Be careful, though. You might want a friend with you. If you light up your amygdala, there's no telling where you will go. High school and "real life"